The Poetry Proejct hasn't added a story. For the 6th year in a row The Poetry Project is sponsoring the Gate City Youth Slam Team as they head to Brave New Voices this summer! Each year, 50 Youth Spoken Word Teams from all over the world come together in a city to attend this International Poetry Festival. The teams get a chance to fellowship, workshop, learn and slam! This year we are headed to DC July 12-16 and we need your help to raise the funds to make it happen! 10 Students from Greensboro, NC have earned this opportunity and we are pooling all of our resources to support this endevor! We would love your support! The Poetry Proejct hasn't posted any updates yet. 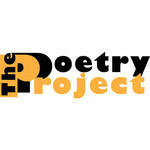 The Poetry Proejct is managing the funds for this campaign.